To take training beyond the confines of the classroom, there is no substitute for putting theory into practice on board an actual ship. To achieve this, AMOSUP acquired the M.V. Seiun I Maru from the Ministry of Japan in 1997, renamed it as T/S Kapitan Felix Oca and registered it under the philippine flag. The only one it its class in the country, the ship is an important training venue for the cadets of the Maritime Academy of Asia and the Pacific , students of the AMOSUP Seamen’s Training Center as well as of other maritime schools. 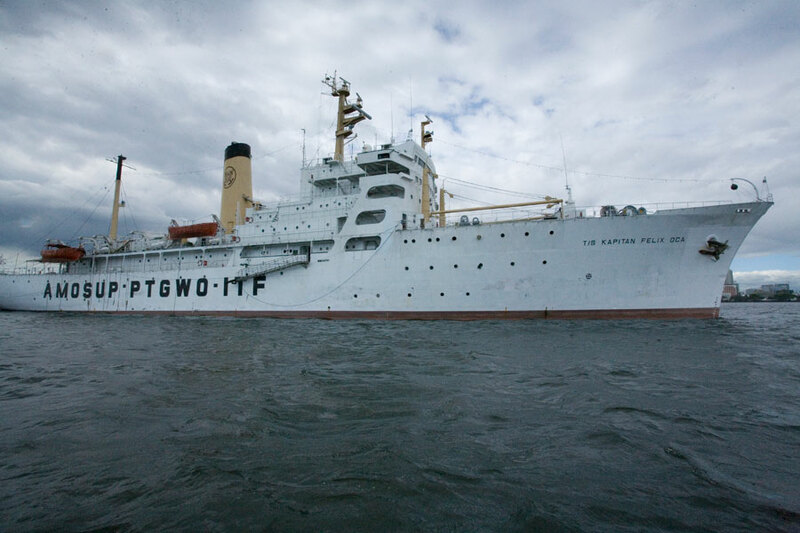 This 5,000 GWT dedicated training ship can accommodate up to 200 cadets at any given time. It is fully equipped with a training bridge separate from the navigation bridge, classrooms,among other facilities. In compliance with the IMO’s training requirements, the T/S Kapitan Oca is also equipped with Automatic Radar Plotting Aid (ARPA), Electronic Chart display System (ECDIs) and Global Maritime Distress Safety System (GMDSS). Courses conducted on board comply with the high training standards of the IMO.